All of your project activity and files can be easily recorded, organized by date, and stored in one safe place - ConstructionOnline. 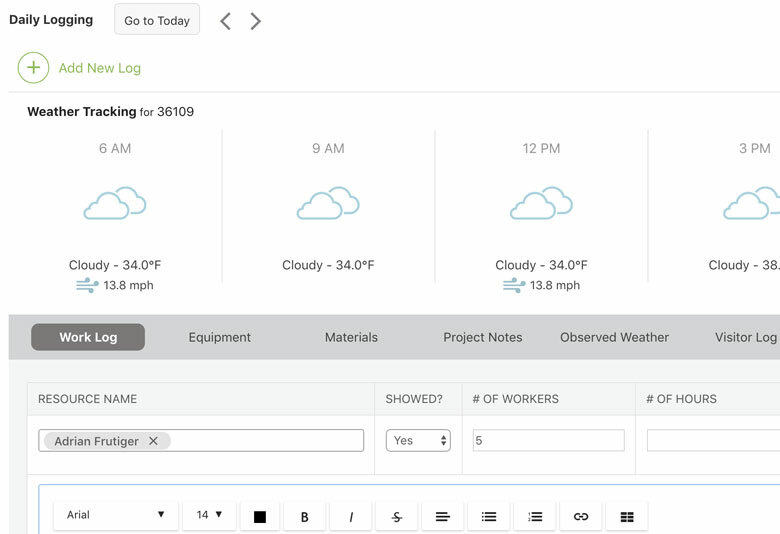 Track weather changes, workers, deliveries and more with the click of a button. 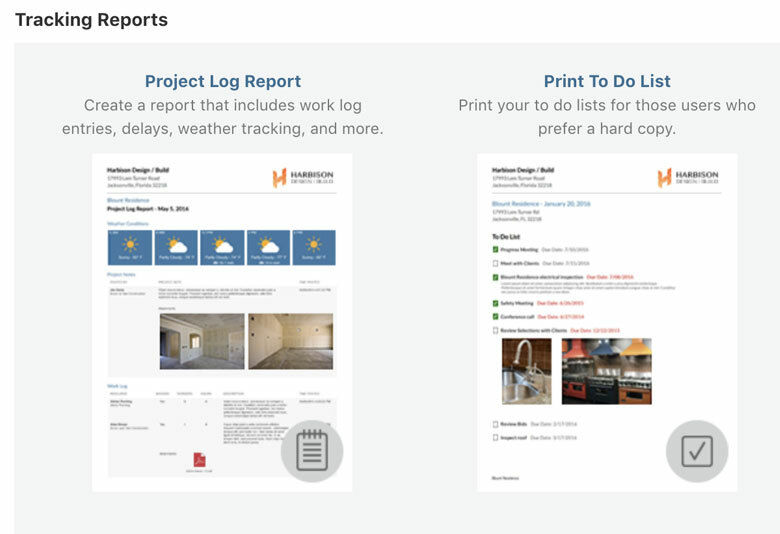 With new ConstructionOnline™ Project Logging working for you, you'll never have to scramble to find that missing paperwork documenting a vital delivery or work delay. ConstructionOnline makes tracking project activity better, faster and easier. After selecting the project for which you want to enable project logging, you are prompted to enter the project zip code. This enables Weather Tracking, a fantastic feature that shows you the recorded weather at your jobsite at 5 different work times throughout the day. That makes it much easier to account for weather delays, which you can log further by specifying the severity and duration of the delay. 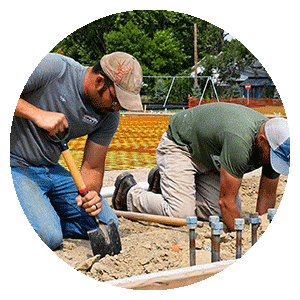 Instead of hassling with pages of lengthy paperwork describing field work, quickly and easily enter essential information about what happened at the jobsite using the Work Log without ever picking up a pen. You can record exactly who showed up to the site, how long they stayed, and what was accomplished. It's a highly organized and efficient way to keep your daily project information on record. This simple and convenient tool lets you make note of any deliveries or visitors that arrive during the workday. With fields for inputting the reason for the visit and the duration, project managers and team members can get a good idea of what happened that day even if they were not present. 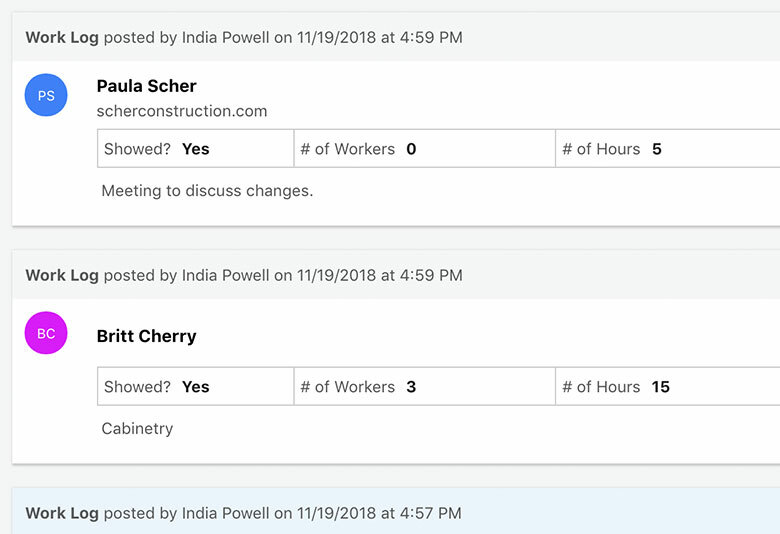 An added benefit is that if the visitor is a ConstructionOnline™ user, you can select them as a contact, so both parties have record of the visit. In an industry where deadlines, timeframes, and budgets are of the utmost priority, it's crucial to keep track of every detail that can affect those numbers. 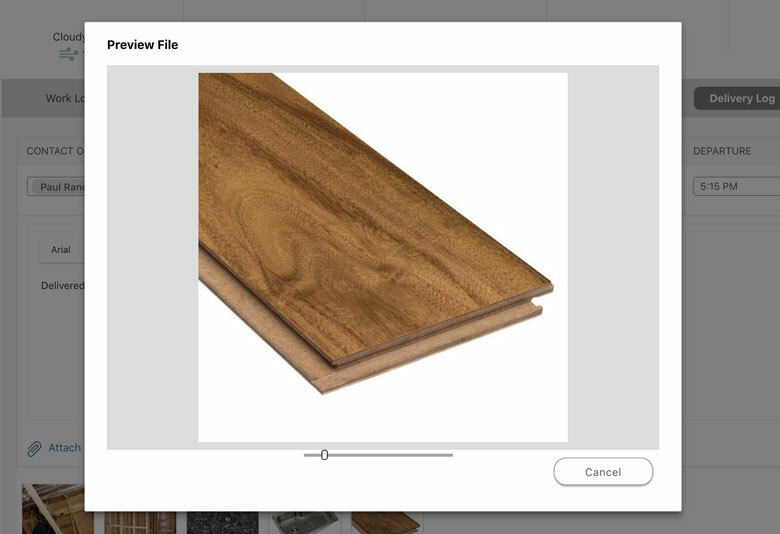 With plenty of space to enter project notes for each day and the easy Attachment Tool to supplement your notes with pictures, video, and other files, you can keep all of your daily records together for a complete Project Log. Once you've updated your project log, you can create an automated and professional report that summarizes all activity for any defined period. Just enter the start and end dates to create a comprehensive, printable report documenting everything you've logged within that specific time frame. ConstructionOnline™ is a great program that improves communication & efficiency. It allows a continuous flow of communication throughout the project. The project logging alone is worth the cost.